The International Atomic Energy Agency (IAEA) is creating a reference biodosimetry/radiobiology laboratory. The lab will provide assistance with estimating absorbed radiation dose for exposed people in developing or third-world countries who do not have adequate resources. To get this project off the ground, in July 2018, the IAEA invited six experts from biodosimetry/radiobiology laboratories in Austria, Canada, Germany, Israel, Ukraine and the United States to its headquarters in Vienna, Austria, to participate in a consultancy meeting on the creation of the lab. Experts visited various IAEA laboratories at Seibersdorf, Austria, including the proposed space for the new lab. Discussion and recommendations from the experts covered a wide range of topics, including facilities, organization of laboratory space and resources, choice of biodosimetric methods, quality assurance and control, data handling and patient records, personnel, certification and training, standard operating procedures and lab certification requirements. Adayabalam Balajee, Ph.D., director of the Radiation Emergency Assistance Center/Training Site (REAC/TS) Cytogenetic Biodosimetry Laboratory (CBL), shared his experience in establishing robotic platforms for automated processing of a large number of samples for rapid individualized biodosimetry at the CBL he manages in Oak Ridge, Tenn. Balajee’s expertise was also useful in developing recommendations for the appropriate biodosimetric methods for the new lab to use in estimating the absorbed radiation dose of exposed individuals. Looking to the future, Balajee will continue to consult on the project, offering assistance and advice for the development and optimization of various cytogenetic biodosimetry assays in the lab. The REAC/TS CBL will collaborate closely with the new lab by sharing well-established standard operating procedures and transferring knowledge on high-throughput cytogenetic biodosimetry technologies. 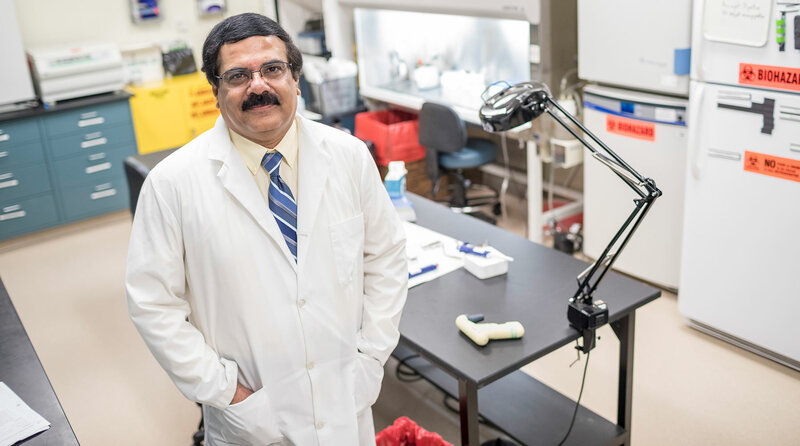 Balajee will also continue his work on developing a global network of cytogenetic biodosimetry laboratories for adequate response to the needs of radiological/nuclear mass casualty incidents anywhere in the world. “I think the formation of the IAEA reference biodosimetry/radiobiology laboratory is going to play an instrumental role in creating a critical global network of cytogenetic biodosimetry laboratories that can effectively respond to large-scale radiological/nuclear emergencies,” said Balajee. The expected time frame for completion of the lab may be one to two years after the approval of funding.